PLUGS INTO 240V RECEPTICLE ON GENERATOR AND CONVERTS TO 4 DUPLEX 20AMP 120V RECEPTICLES. 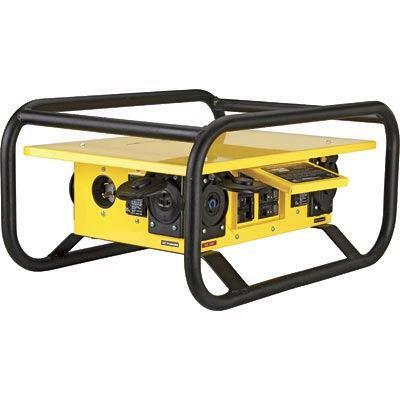 GREAT FOR SITUATIONS WHERE MORE 120V RECEPTICLES ARE NEEDED THAN ARE ON THE GENERATOR. * Please call us for any questions on our generator 240v distribution box rentals in Brownsburg IN and the Indianapolis metro area.